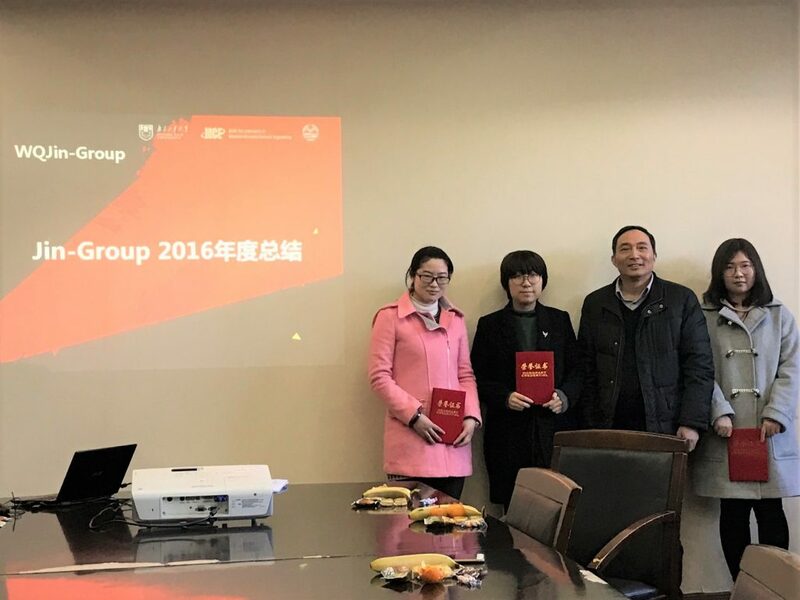 On Jan 14th, before the coming of Spring Festival, Prof. Jin’s group held the annual summary of year 2016. Three young teachers reviewed the achievements of different research areas in 2016 and put forward research plan of next year 2017. Six Students shared their research experiences with classmates. 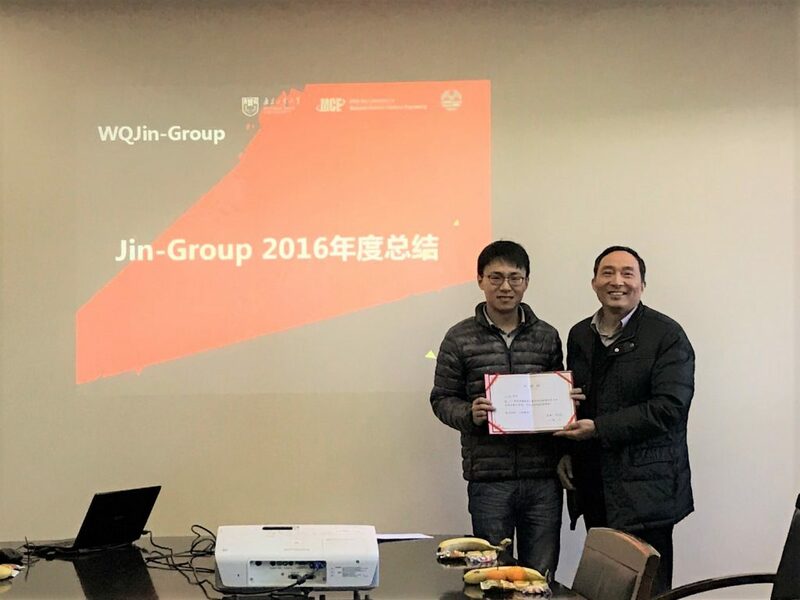 Four excellent students, Guoshun Shen, Qianqian Li, Mengchen Zhang and Yufan Ji, were awarded by the Second “Mentor Scholarship” in the Jin’s group. At the end of this meeting, Prof. Jin said that all the group achievements in 2016 were attributed to every one’s hard work and hoped we could do better in the new year. As China President Xi said, “We will roll up our sleeves and work with added energy”.